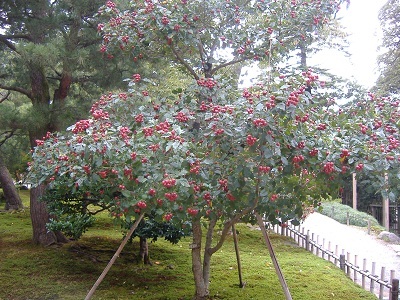 Hawthorn in Kenrokuen Garden bears red fruits.The tree is called Sanzashi in Japanese. Haw means hedge and thorn means sting or spine. In the UK, the tree is used as hedge surrounding home. 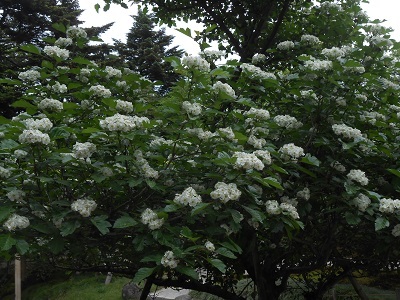 It is also called may tree. In the language of flower, the tree signifies hope. 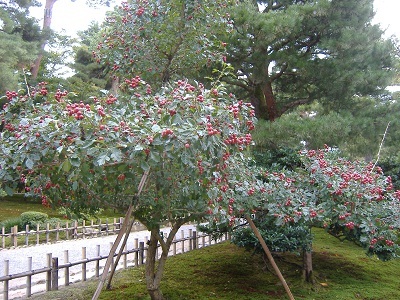 The tourists from the UK say that the fruit is smaller than here in Japan. Hawthorn is the state flower of Missouri, USA. Hawthorn blooms start after cherry flowers. 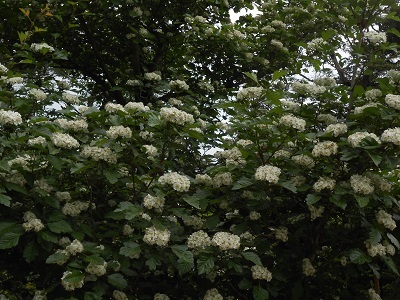 It is also called white thorn. I took these photos on May 19,2013.